You are at:Home»Governance & Unity News»Governance & Unity Essays»Why Can’t I Criticize My Religion? I have had a number of faithful find fault with my op-ed essays regarding the actions or non-actions of members of the hierarchy and the Archdiocesan Council. When one observes the egregious errors committed by church officials in observing the rules and policies promulgated by themselves, how could any faithful remain quiet? My thoughtful, yet provocative criticisms are meant to be constructive as well as poignant reminders to the church administration to follow their own decrees. By concealing, disregarding and objecting to any criticism to our faith, we are making it more difficult or impossible for any reforms to occur, allowing the hierarchy free reign to vicariously administer our church lives. You can guess how many times I have been advised to “stay the course”, as these events “will pass”. If, I was to constrict my views as expressed, the hierarchal administration may end up with an unsustainable clericalism. God forbid! What the Archdiocese must understand is that we faithful are not going to strike a fustian bargain in order to fit in with their current direction. My writings are for the purpose of raising awareness among the Orthodox faithful and trying to interpret the actions of our Archdiocese. In a church so fragmented and hardened by ethnicity, does one person’s private struggle for unity among the various jurisdictions, for transparency and responsibility in the Greek Church really matter? You, dear reader, clergy and maybe even bishops through the years, have you ever pondered these issues? Is this the kind of church, the homage to Christ that He would have us build? Or is this a maligned design by the devil to keep our faith partners apart until the Second Coming? As of now, it seems as if the Antiochian jurisdiction model has a grasp of what Orthodox Christianity should be like in the US today and in the future. Their liturgy is 100% in English, they frequently conduct Orthodox outreach at fairs and community events, they invite Protestant seminary students to vespers with questions and answers following, plus other efforts in actively advancing the faith. The Greek jurisdiction at present, and it seems for the future, has major problems at the archdiocese, severe financial pressures at Holy Cross School of Theology and Hellenic College, plus the burden of restarting the construction at the St. Nicholas Shrine. Our erudite Archbishop Demetrios refuses to retire or accept another assignment after the two-time soft request of his superior, Patriarch Bartholomew. It seems as if this is a church where bishops and above follow the rules of their choosing. 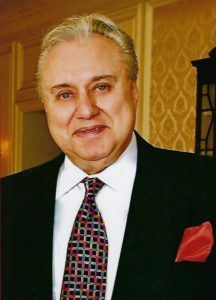 When the archbishop refuses public requests to resign from his longtime friends, supporters, and benefactors, the likes of John Catsimatidis and Michael Psaros plus several other prominent members of the faith, one has to surmise that it’s a sad case of narcissism or ego. In the meanwhile, we the faithful people in the pews, those who are left, the people who regularly attend services, the ones who contribute yeoman work at the festivals and year-round and assist in other parish events. Then too, what about our children, the precious commodity of our hopefully strong future? The current and next “Greek” Orthodox Christian generations will determine its future existence and success of our faith. The bugle has sounded twice, Your Eminence. I pray you will resign or accept appointment to another higher status. You owe this to the thousands of Orthodox believers who are immeasurably grateful for your services and pray that you have a peaceful and long retirement. Memo to our parish priests: Thank you for your spiritual work ,but remember that this is America, where English is the national language. Don’t want to get caught in semantics, but I don’t see you as criticizing Orthodoxy as a religion or faith. You are criticizing administrative decisions done by mortal, imperfect men. You are not criticizing the teachings of the Church Fathers. Reality is we also need to lead by example too. Yes, it’s true that North American churches don’t have perfect administration and there’s bureaucratic lines, where for example a city like New York might have multiple Bishops (e.g. : 1 Greek, 1 Russian, etc.) instead of spreading out Bishops to cover more area. Got it, point has been made. We can blog all day about it — OR, we can build a community that is spiritually nurturing, provides strong pastoral care, and takes care of its own. I want Greeks in my church. I want Russians in my church. I want regular white guys, black guys, Asian guys, whoever. Let’s build an English language church that is so well run that it sets the example. I also desire this but tell me, how are we going to build such spiritually nurturing communities when ordinary non-speaking (put in ethnic make-up here) Americans attend a liturgy and leave thinking, “Well, we don’t belong there. It’s really for the Greeks, Arabs, Romanians, Ukrainians…etc.? Do you know, thirty years ago I was asked by one of the parish members why the “hell” I had come to “his” church upon learning my name? And just a few years ago my wife and I were told during a coffee hour that we would feel much more at home at the Antiochian church on the other side of the city (that was a Greek church by the way). I made several calls to both Romanian and Ukrainian churches and was told by both priests that the liturgy was in those St Nicholas Russian Orthodox Church OR St Demetrios Greek Orthodox Church etc and concludes that these are not meant for him since he is neither. Mormonism is growing. Word of Faith communities are growing even faster than Mormons. Jehovah Witnesses are growing. Many mega evangelical churches are growing. Orthodox churches? For the most part we appear to be holding the course but not growing as we should and the reason is contained above. Would our Lord feel welcome? Your response is very telling. Last night at an ecumenical gathering of Christians in my community I met a young Puerto Rican who is exploring the Orthodox Church. He has been attending an OCA parish that caters mainly to Ukrainians and Russian immigrants and he does not feel very welcomed. The Antiochian churches that I have recently attended in Chicago and in Florida celebrate the liturgy in both Arabic and English. Some include Greek as well. Greek parishes continue to use both English and Greek-with an emphasis on the Greek as well as and on ethnic Hellenic nationalistic traditions. 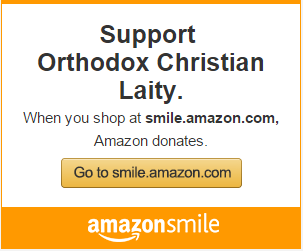 Orthodoxy should come to a realization that it’s NOT catholic–it’s ethnic. Maybe the Nicene Creed in the Orthodox Church should be revised to read as follows: ” I believe in one holy catholic and apostolic church” to “I believe in one holy ethnic and apostolic church”. Religions don’t necessarily disappear. They just become irrelevant. For example, in Greece there still exists a sect that venerates the Olympian gods and places coins in the mouth of their deceased to pay for transport across the River Styx. I fear that the Orthodox Church in this part of the world may be following this trend. Though I agree with much of what you say, growth is not the issue, being faithful to the Gospel is. Jesus commissioned the church to go and preach the gospel to all. If we are not reaching out and bringing people to faith in Christ, we are not doing what the church is meant to do. Albeit, if we were doing what was commissioned by our Lord, the church would probably grow. Here’s the reality. In many cities, the different ethnic Orthodox built huge churches. Today, their congregations have shrunk considerably and the cost of utilities and maintenance for these edifices is not sustainable. So, what is the answer? Like many corporations, MERGING is necessary. All Orthodox, of whatever background, must merge. Why not? Ethnic customs are easy to learn; everyone understands English and having two or three priests can be a very good thing. We must get past this ethnic thing and be American Orthodox with diverse congregations. Why not? 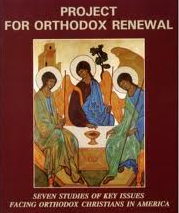 Want to sustain your Orthodox churches and keep your youth engaged for the future? Do nothing and lose everything!